The Dead Sea in Israel is known for its supremely salty water and mineral-rich mud; anyone who’s ever visited the site has likely slathered themselves in the stuff. And now, the Israeli skincare company that has bottled the uniquely nutrient-filled Dead Sea dirt is giving it away at a discount. 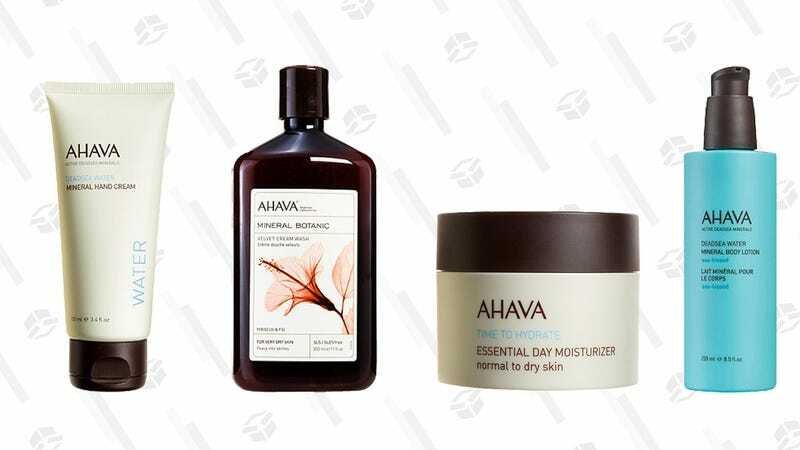 All Ahava products currently on sail — er, sorry —sale at Ulta right now, with 25% off. Test out the Dead Sea Purifying Mud Soap, which sounds counterproductive, but isn’t; stay smooth with Mineral Hand Cream; or hydrate using one of the many lotions infused with Dead Sea botanicals before this deal is dead in the water.